Transparency Market Research observes that the global body worn insect repellent market is high fragmented due to the presence of several players. The market also has a strong presence of local players. Majority of the companies operating in the global body worn insect repellent market are focusing on developing plant-based products to cater to the trend of using natural products. Some of the leading companies in the global market are Godrej Group (Good Knight), Larus Pharma Srl, E.I. du Pont de Nemours and Company, Reckitt Benckiser Group Plc, Insect Shield, LLC, and ExOffcio LLC. 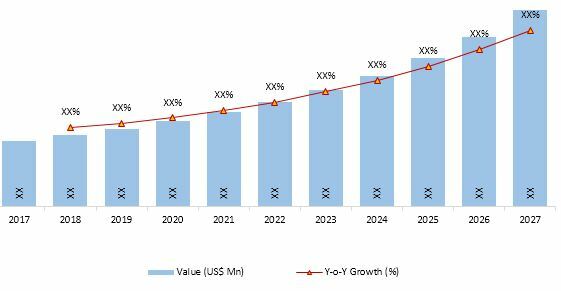 According to the research report, the global body worn insect repellent market is estimated to be worth US$659.01 mn by the end of 2025 from US$304.85 mn in 2016. During the forecast period, the global market is expected to surge at a CAGR of 9.29%. In terms of geography, the Asia Pacific body worn insect repellent market is expected to rise at a CAGR of 10.43% between 2017 and 2025. Out of the various oils and creams available in the global market, the plant-based ones are expected to be used extensively as the awareness about eco-friendly products continues to be on the rise. The demand for body worn insect repellent has been remarkably high in the recent years. This demand will be fueled by the spike in the arthropod borne diseases across the world. The inability to control the growing number mosquitoes has led to several diseases in recent years. Malaria, chikungunya, and dengue, especially in the developing countries, have given rise to the demand for body worn insect repellents in recent years. The report states that the growing number of healthcare awareness programs are also likely to fuel the uptake of body worn insect repellents. These are usually worn on apparels to prevent bites that could lead to severe conditions. The stringent efforts to prevent epidemics is expected to play a major role in the soaring demand for these repellents in the forthcoming years. Furthermore, as agriculture continues to be a primary source of occupation, employees or farmhands are expected to use body worn insect repellents to keep bites at bay. Similarly, those working in oil and mining sector are also likely to be the key end users of these repellents. Analysts predict that the demand for plant-based body worn insect repellents is likely to remain at an all-time high. This trend will be fuelled by the growing awareness amongst end users about using organic or natural products for the skin. The minimum-side effects of plant-based products is yet another unique selling point of these repellents. Though oils and creams are extensively used for keeping insects and mosquitoes away, the report highlights that stickers will be in great demand. The convenience of using stickers on clothes is expected to drive their demand in the foreseeable future. The global body worn insect repellent market is likely to face a few challenges such as lack of awareness about these products. This can especially be seen in the rural parts of the developing countries of the world. Poor knowledge about insect repellents in such regions is expected to hamper market growth in the near future. Furthermore, the availability of traditional alternatives such as neem oil or lemongrass extract are also expected to hamper market growth in the forthcoming years. This review this based on Transparency Market Research’s report, titled “Body Worn Insect Repellent Market (Product Type – Apparels (Trousers, Shirts, Jackets, Head Nets and Others), Oils & Creams (Plant-based and Synthetic), Stickers & Patches) – Global Industry Analysis, Size, Share, Growth, Trends, and Forecast, 2017 – 2025”.